Lisa specialises in women’s rights and ICT. She has an undergraduate degree in Sociology from the University of the Philippines, a Masters degree in International Relations from the Kiev State University and an MA in Women and Development Studies from the University of the Philippines. Prior to joining FMA, Lisa worked for an NGO focused on women and migration. She is currently a member of the Board of the Centre for Migrant Advocacy (CMA), a Philippine-based NGO working for the rights of all migrants and members of their families. She is also co-moderator of the Dynamic Coalition on Gender at the IGF. Christina is the Program Officer for Gender and ICT . She is a registered social worker and has been in practice since 2006. She is committed to making social work known to those outside of the profession, while fostering pride among those engaged in it. Her resume includes many years of experience working with women, children, migrants, and the elderly, under the tutelage of community-based and non-government organisations. Her previous paid and volunteer work included positions in frontline programs, agency management, and social services governance. At FMA, she participates in many conferences and mentoring opportunities to further hone her craft while studying advances in gender studies and Internet governance. Jess is FMA’s Program Officer for Privacy and Surveillance. 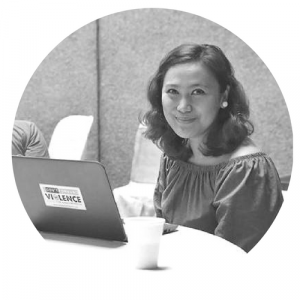 She has an undergraduate degree in Broadcast Communication from the University of the Philippines and has a background in PR and academic and legal research. Her diverse work as a writer and marketer for various digital platforms has exposed her to the many ethical and legal issues revolving around the nexus of ICT and human rights. 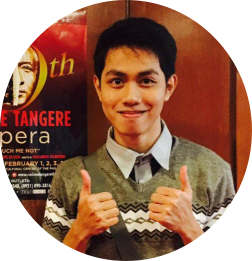 JV graduated from University of the Philippines in Los Banos, Laguna with a bachelor’s degree in Development Communication. He has a background in several media platforms and creating communication campaigns. He also has experience writing in various styles as required by the intended audience. Irene has been working in the non-government sector for 17 years. She joined FMA in 2008 as Administrative and Finance Officer. Jerry joined FMA in 2014 to provide administrative and operational duties within the organization and in direct support in the delivery of programs and services. Maria Cecilia Soria practices Data Privacy and Technology Law, helping individuals and companies with their Data Privacy Act compliance. She also blogs about data privacy and technology law issues on her blog at www.ceciliasoria.com. Before becoming a data privacy professional, she was Legal Counsel for Sun Life of Canada (Philippines), Inc. She has been engaged in digital rights advocacy since 2012. She is a graduate of the University of the Philippines College of Law.